You need to be an Admin of the Facebook Page you are trying connect. Page roles like Editor or Moderator don't have enough permissions to connect chat bots. Having this page in your Business Manager also isn't sufficient. If you are a page Admin, please make sure that you have granted our app the sufficient permissions, which you can see in your Facebook Business Integrations - https://www.facebook.com/settings?tab=business_tools. If you decided to give permissions only for some of the pages, please make sure you've given all four permissions to these pages. You can also completely remove Chatfuel from your Business integrations, and then try connecting the page again. 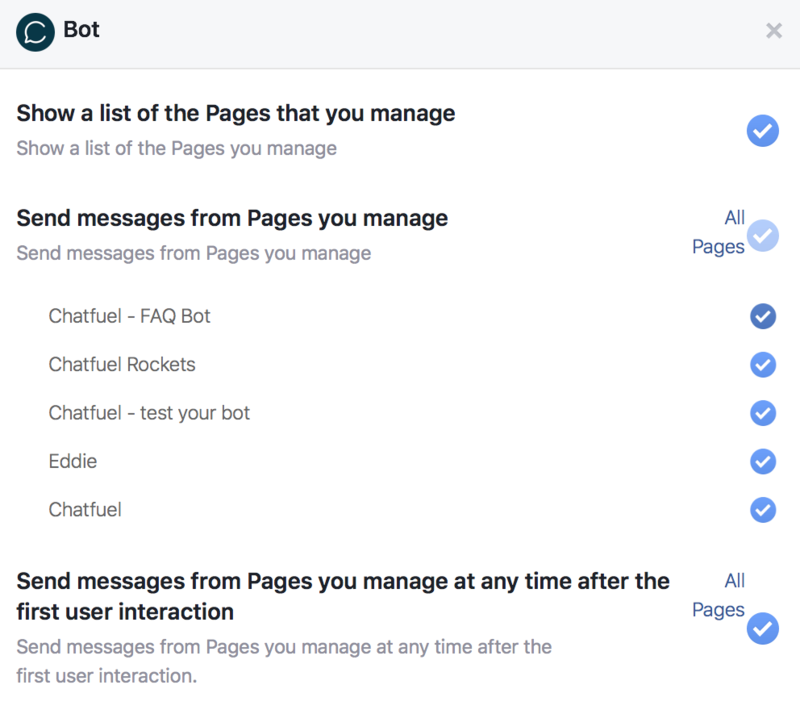 Removing Chatfuel from Business Integrations will also help if there's a page you're an administrator of, but it's not showing up in the connection list. 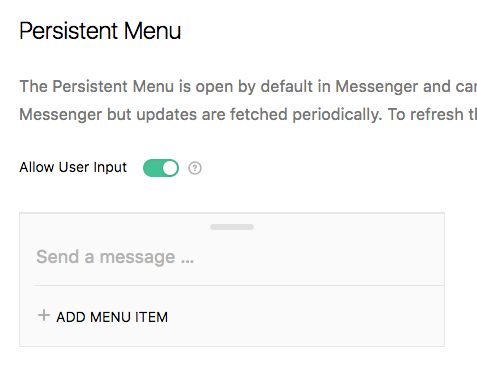 An error in your Persistent menu can also prevent the page from being connected. You'll find your Persistent menu field in the Configure tab of your bot. 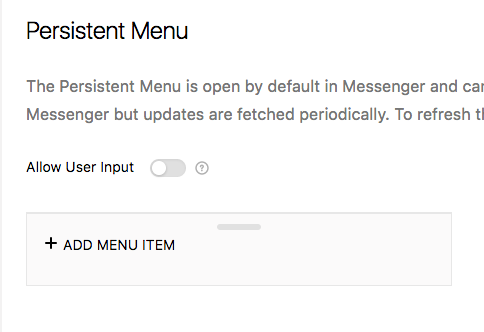 So, you need to either have at least one menu item, or the user input toggle needs to be turned on. Didn't find a solution for your page above? Reach out to support and we'll help out! Message us through the bubble in the bottom right corner on this page.